Skin Cancer UV Sensitive rubber bracelet wristband - If purple - protect! HomeShop by CalendarHealthy Skin Aware MonthSkin Cancer AwarenessSkin Cancer Prevention UV Color Changing Wristband - Adult 8"
I was searching all over the Internet for bracelets like this, they shipped it fast and the bracelet did what it was supposed to do. well made. size it correct. Good reminder when it changes colors BUT, the second the sun hits it, it changes. So it's not real accurate. PS, if you wash your hands in warm water, it'll change too. Merchant Response:Thank you for your review. We would like to make sure we clarify how the wristbands work and what their intended purpose is. Simply said, the wristbands will turn purple when you walk out into the sun as a reminder to apply sunscreen. They are NOT intended to change with the intensity of the sun or act as an indicator of when to get out of the sun. We hope you enjoy the wristbands and continue to promote the importance of safety in the sun and how to help prevent skin cancer. I a melanoma survivor and I use these when I speak to High School students and they love them... I am very passionate educating young adults on the importance of sun safety!!!! Great product!! I love the concept of the bracelet! However, no instructions or information came with them to determine what to do when does the color purple gets brighter and brighter. I would have hoped there would have been some explanation and possibly what to do or what to avoid when this occurs. It turns purple almost immediately in the Sun and this has me worried with no knowledge other than applying sunscreen to do. Is anything available??? Merchant Response:Thank you for your review. Simply said, the wristbands will turn purple when you walk out into the sun as a reminder to apply sunscreen. They are NOT intended to change with the intensity of the sun or act as an indicator of when to get out of the sun. We mention these tips above: Wear this wristband out into the sun and it quickly, "magically" changes color from soft white to purple. The color change and the message, "If purple - PROTECT - Prevent Skin Cancer" is a reminder to the wearer that when purple you are exposed to strong UV rays. Steps to protect might include: sun screen lotion, a wide brimmed hat, clothing that covers more of your skin, staying in the shade, going inside. Hopefully this information helps, and you enjoy wearing the wristbands and sharing the message they represent to protect your skin and prevent skin cancer. Works great. Turns purple in the sun. Very helpful to know if there are UV rays around you. I also use it to test the windows in my home and car to see how much UV rays they let in. We have enjoyed this wrist band, we love that it changes color (purpil) with UV rays. Best UsesWe wear these all the times and wished we had ordered more. These even turn color in a vehicle. They can't tell between UVB and UVA. UVA does pass through windows, so use a broad spectrum sunscreen to protect against both UVB and UVA. Merchant Response:Thanks for taking the time to write. The wristbands are intended to be a simple reminder to wear sunscreen when you're exposed to the sun and are not intended to tell the difference between the different types of ultraviolet light. We hope everyone remembers to protect their skin to help prevent skin cancer. Best UsesUse only as a reminder for kids to wear sunscreen. They change color as soonas you hit UV rays...my practice was a sponsor for a walk/fun run and we all wore these in support of Melanoma and skin cancer research and awareness - they were such a hit! Even people at Starbucks were asking about them. Great purchase and highly recommended. 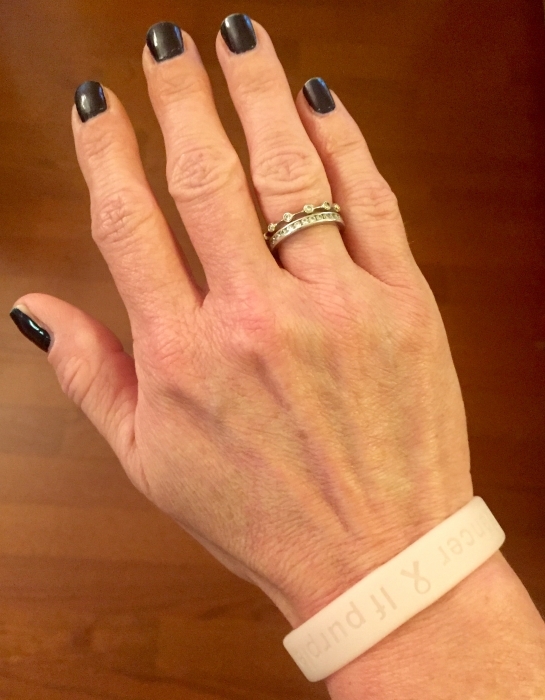 After removal of a melanoma I bought 6 of these bracelets. I put one on, put on high factor sunscreen (my dermatologist and oncologist recommended) and went out in the sun at 8.30am to walk my dogs. The bracelet immediately turned a dark purple. No lavender, just straight to dark within 1 minute of being outside. I hadn't even walked to the end of my drive. I continued to wear the bracelet with sunscreen over the next week and it continued to immediately turn dark purple within minutes of being outside, even at 7.30am and 7.30pm. I have given up on this product now. The premise was good - lavender reminds you to renew sunscreen and dark purple tells you to get out of the sun. If it worked it would be a great idea. It just doesn't work - it is too sensitive! I wouldn't recommend this product or buy it again. Merchant Response:Thanks for taking the time to write. I want to make sure we clarify how the wristbands work and what their intended purpose is. Simply said, the wristbands will turn purple when you walk out into the sun as a reminder to apply sunscreen. They are NOT intended to change with the intensity of the sun or act as an indicator of when to get out of the sun. We hope you enjoy the wristbands and continue to promote the importance of safety in the sun and how to help prevent skin cancer. Best UsesFor Vampires so they can avoid 100% of the sun's rays! I carry these around with me everyday and give one to everyone I can, especially when they ask me about the one I am wearing!! I have a friend with Melanoma & wanted to help the family. I ordered these wristbands for only $.99 & sold them for $3 & all the money went to the family. I received them within 2 days of ordering & the price was great so I could actually raise some money for them. Thank you Support Store for the discounted price & speedy delivery! !